We're having a Weave-Off to celebrate how well our Bluegrass Mills 6/2 Cotton Yarn has been received. Weave a dish towel with Bluegrass Mills to compete for prizes in four separate categories. Here’s the thing though, you don’t get your towel back, because we’re donating them all to the local women’s shelter (Simon House, here in Frankfort Kentucky), because women in crisis need the special energy that handwoven textiles provide, too! 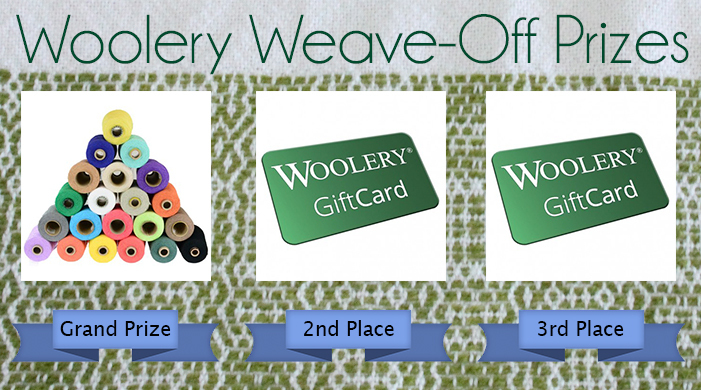 One entry per person - entries must also contain the Woolery Weave Off Entry form, which will be shipped with all orders of Bluegrass Mills Cotton.